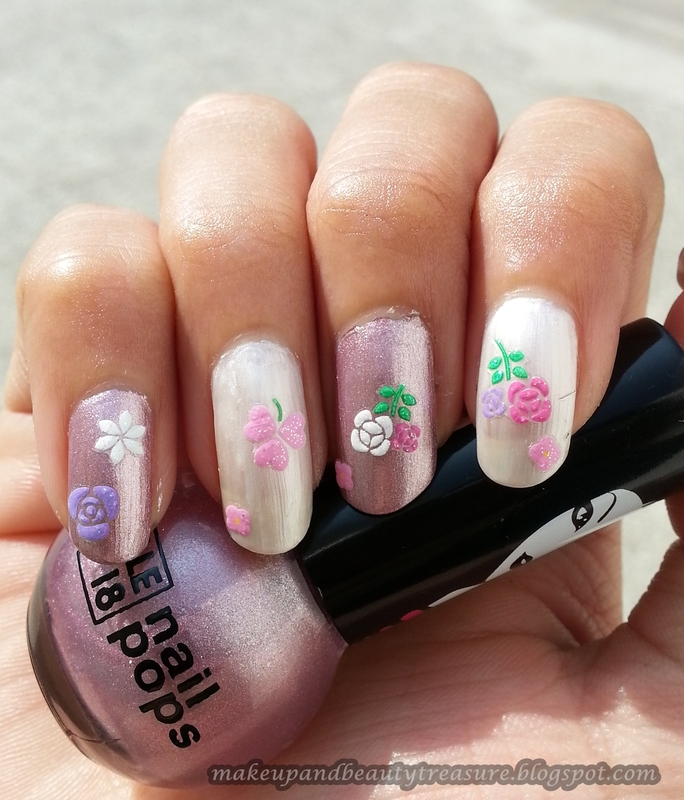 I have always been fond of nail polishes, nail arts and all kind of nail accessories. When my friend visited US, I asked her to order nail art stickers for me for the sake of free shipping. She was so miser, she brought only one pack for me (I was ready to pay hun! :P). Nevertheless, I won a nail art sticker in a giveaway too (That one I would review later as I haven’t used them yet!). 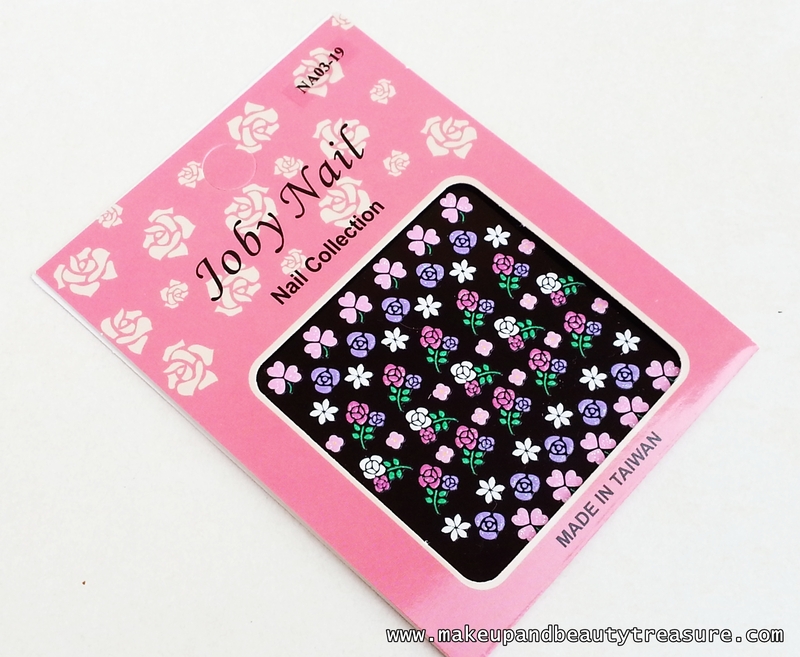 Today I am going to discuss my experience with Joby 3D Nail Art Stickers with ‘Flowers’ design. Pink, purple, white and red flowers. The nail art stickers set comes in a small plastic pack with flower stickers of various types and sizes. They are stuck on a black flexible paper or sheet that prevents them from getting damaged or spoiled. They can be easily carried around in a purse or a bag. They consist of pink, white and purples roses, heart petal shaped flower and small white and pink flowers. Each sticker is made of slightly thick plastic with a 3D effect and doesn’t tend to stick to itself upon application. 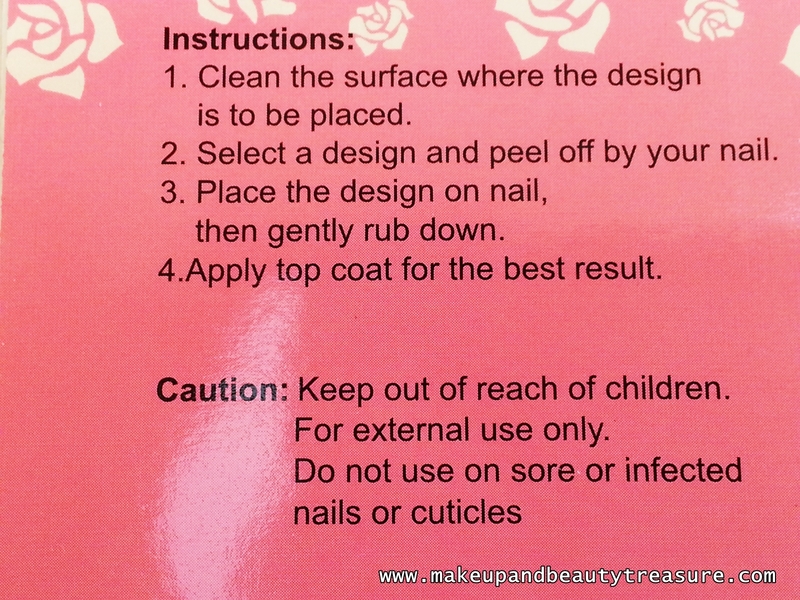 I usually use tweezers to pull the stickers out of the pack and apply with little pressure onto my nails. 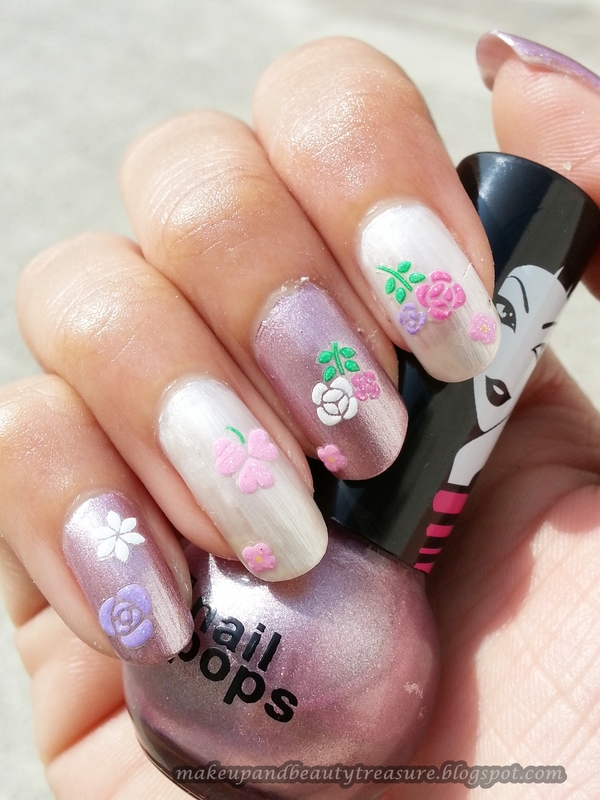 The stickers are super easy to apply and you don’t need to be a nail art expert. You can even use your nails to pull them off without spoiling the shape. The stickers feel quite light on my nails unlike few other stickers. They have glittery pattern which makes the design all the more pretty. It takes only 10 minutes to apply the stickers on my nails. I always apply a top coat as per the instructions to make the effect last longer. Whenever I don’t feel like doing nail art, I use them. The stickers look really great and pretty on my nails. They last on my nails for a good 4-5 days without wearing off or swimming about on my nails (I hope that makes some sense :D). They looked fresh and nice even on day 5. They can be easily removed using a good nail polish remover. They do not leave glue residue behind. I did these on Valentine's Day! • Looks beautiful on nails. • Doesn’t leave glue residue behind. • Wide range of designs available. • Free international shipping only on orders above $40. I am really in love with Joby Nail art stickers. They look good on any occasions. They are of good quality and are super easy to apply. They stay put on my nails for a good 4-5 days without getting dull. If you are not fond of nail arts and want your nails to look good, then these are definitely for you. I shall highly recommend it to everyone! 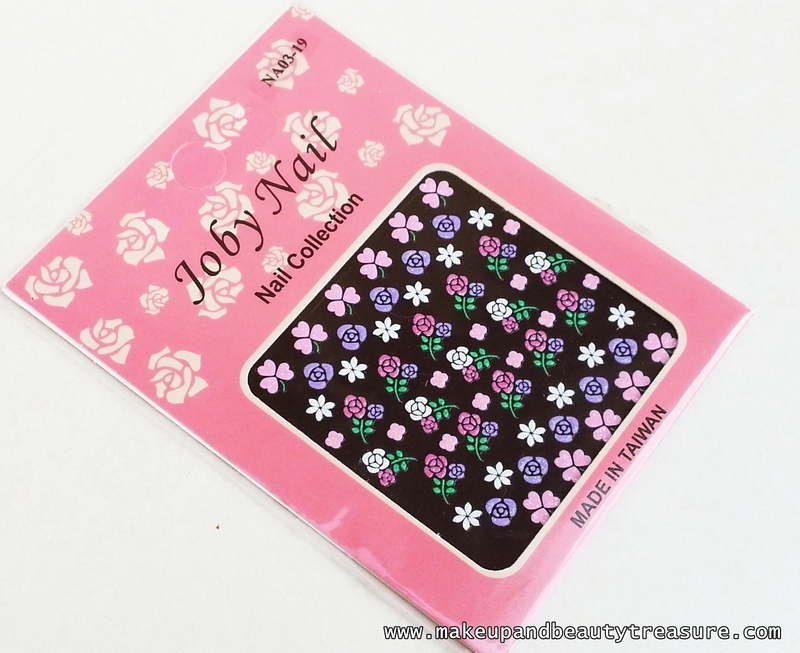 Have you tried Joby 3D Nail art stickers? How was your experience? Share in the comments section below! wow those are lovely! how much were they? 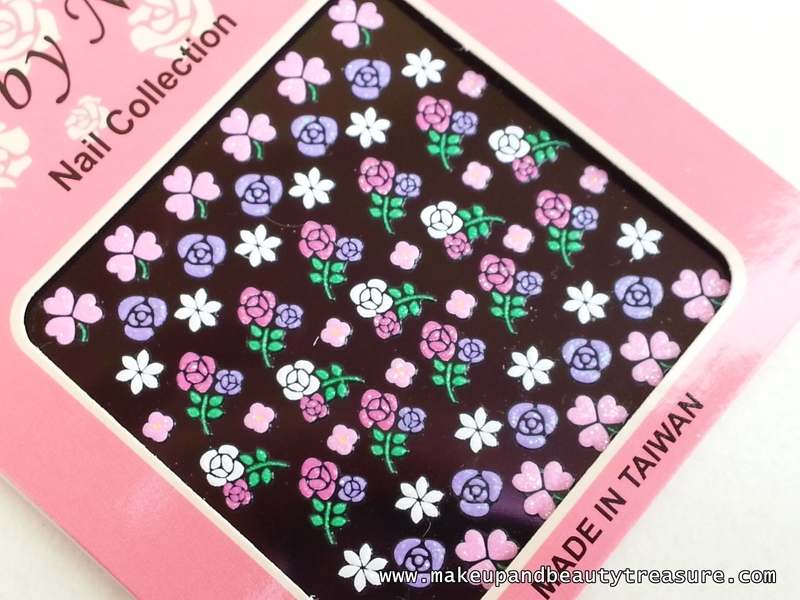 wow...i love pink flower ones..
yeah Razz these are very pretty designs! Thanx Yania. Sure would definitely visit ur blog! I like it! I am a new follower via GFC and Bloglovin! Hope to hear from you on my blog! loved them Megha. And your review as well. 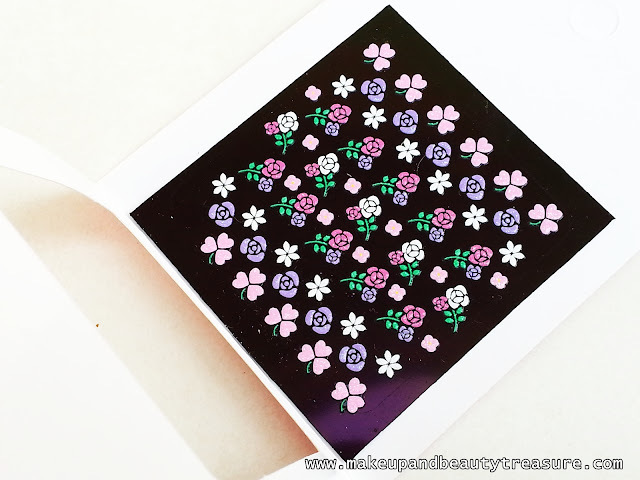 Nail art stickers are very easily available these days in India (and cheap). where are you from? If in Mumbai I can help you with places!! !